I’ve had this amazing ivory linen from Guthrie & Ghani in my stash for some time now, so when I realised I have a party coming up with a “white and denim” dress code and couldn’t find anything I wanted to wear to it, I decided to take matters into my own hands. It’s a barbecue/garden party so I wanted something casual, with room for my food baby (that post -dinner bulge around my belly! ), but not too basic. I also couldn’t be bothered to print and assemble a new PDF, so wanted to work with a pattern I had already used and fitted. Fortunately I remembered coming across this hack tutorial by By Hand London for creating tie-straps. It’s super simple anyway, but reassuring to check someone else’s instructions. It was literally a matter of extending the “shoulder” into a strap with the desired shape. The front curved hem is also tidier than it looks in the photos, I hadn’t pressed it yet! 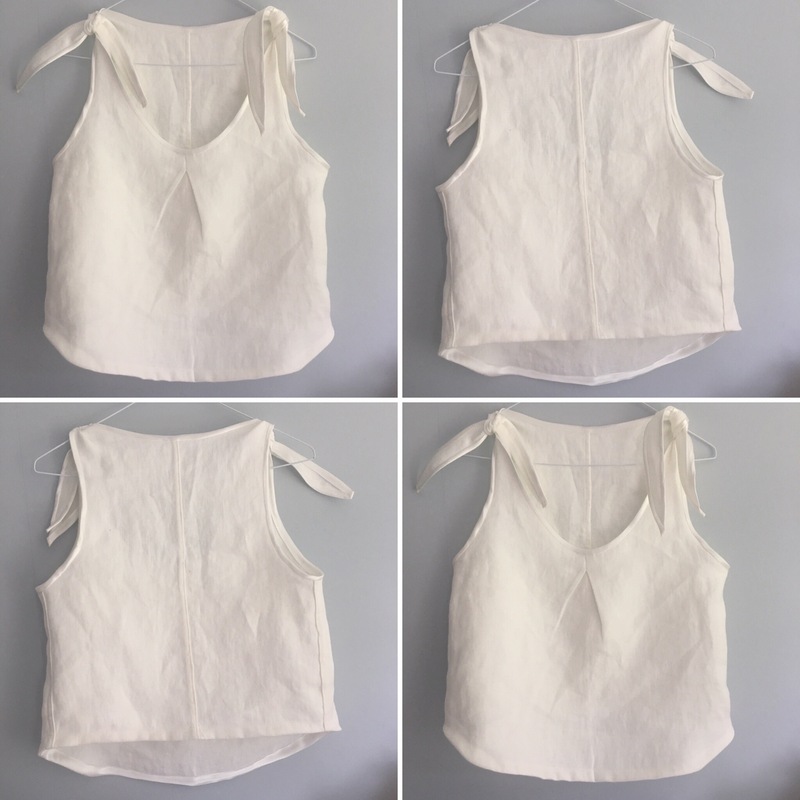 I didn’t use facings because I find that with my skin tone, they are glaringly visible in light coloured fabrics, and I also wanted to go with a binding to add a bit of interest to the top. I nearly used a wax print bias binding I had left over from my wax print cami, but I didn’t have enough length for that. I’m glad, because after a bit of a rummage, I found an ivory satin binding instead and I think it looks more elegant and simple with that than it would have with the colourful binding. 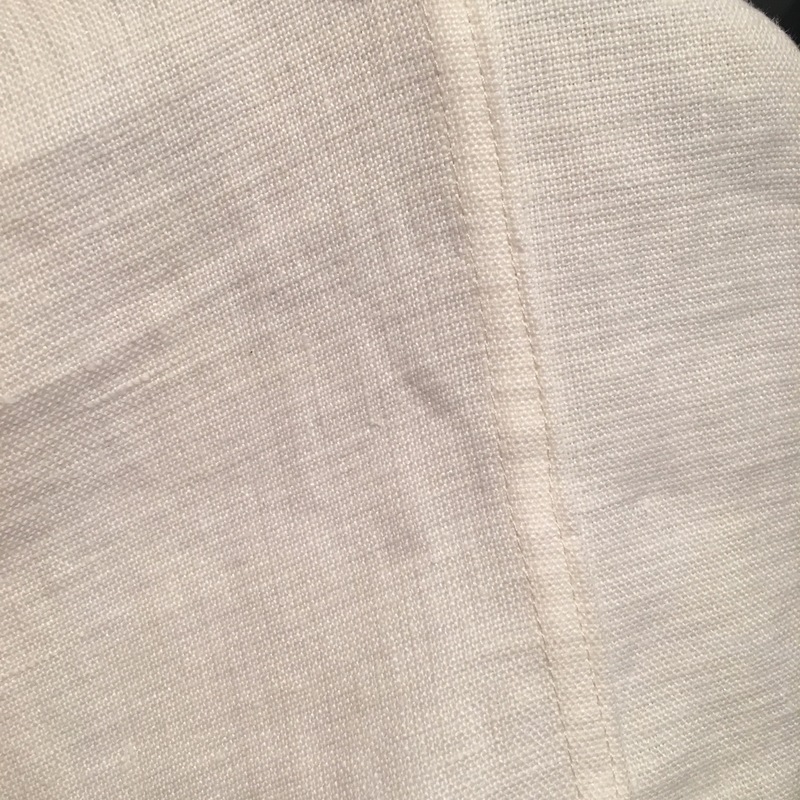 Because I wasn’t using facings, I trimmed about a quarter of an inch off the neckline and armscyes to account for not having the facing seam allowance, just a quarter inch binding. The one “new” technique I tried here was using flat felled seams – a quick Google and a Crafsty blog post explained how to do them and I think it was a good move for this fabric which is thick and cosy. Any other seam finish I’m familiar with would have been bulky or visible. 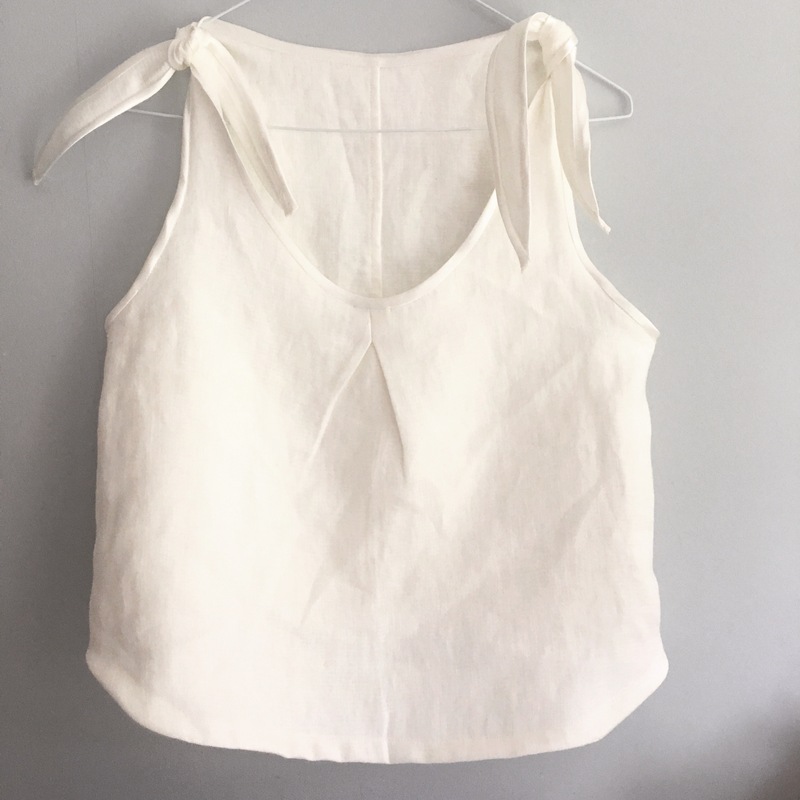 All in all it was a really quick project and a nice understated but, I think, lovely top. I’m ready to go stuff my face at the barbecue!